That said, I also don’t want to put a ton of effort into cleaning. I’ve pulled together five shortcuts I use to help create a healthy, clean home while keeping it as effortless and affordable as possible. 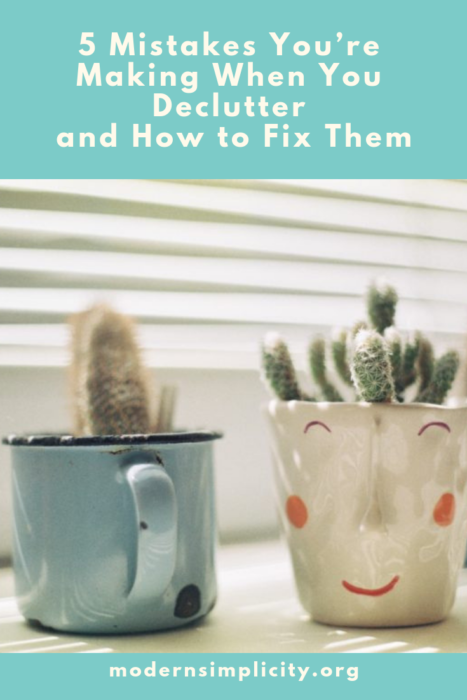 Check out these tips and look for a special offer from my friends at Grove Collaborative at the end. When you don’t have to dig around for a bottle of cleaner, it’s much easier to stay on top of day-to-day cleaning tasks. I use a cute caddy from Grove to keep my most-used supplies readily accessible. The caddy is big enough to hold a few bottles of cleaner, gloves, and microfiber cloths — yet compact enough that I don’t feel like I’m lugging it around the house. I love the clean white look, but they also have a bunch of new ones in different colors! It’s so easy to forget what’s already in my cabinets and buy something new instead. I realized that I may have a “cleaner hoarding” problem when I filled two baskets with new bottles when I cleaned out the pantry. This year, I’m trying to use up all those half-empty bottles of bathroom scrubs and glass cleaner tucked all over the house. Not only does that take care of responsibly using up what I’ve got, but it also helps eliminate the clutter of bottles under the sink! One product I always use to the last drop is Mrs. Meyer’s all-purpose spray. It stays on my Grove order every month so I never have to worry about running out. Let’s face it — cleaning isn’t really fun, and it’s even less fun when you’re coughing and stripping your skin using traditional cleaners full of nasty chemicals. As I finish up any old products, I make sure to replace them with earth-friendly alternatives that are better for my family and for the planet. Using fresh cleaners with natural scents makes the whole process feel a bit more like rewarding routines instead of dreaded chores. I also love picking out new scents from Mrs. Meyers and Method — new scents keeps the cleaning happy! Whether that means storing leftovers in glass containers instead of disposable bags or refilling my hand soap bottles, I’m always on the lookout for ways to eliminate single-use plastic in our home. I love that I can order refills of my favorite soaps and cleaners through Grove so I can reuse my dispensers instead of tossing them out. I also love the way their gorgeous glass bottles look on the counter. Between laundry detergent, dish soap, toothpaste, and paper products, household supplies can get expensive. 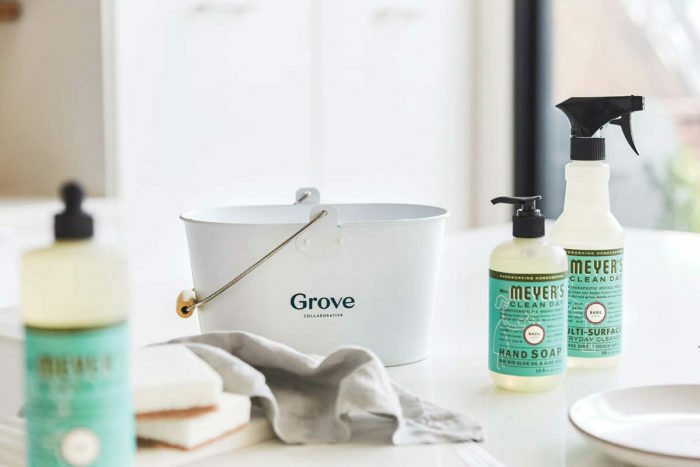 One thing that’s helping me stick to my budget is using Grove for all of my cleaning products. Ordering my supplies online forces me to think carefully about what I need, instead of randomly throwing cleaners in my cart as I hurry through the grocery store. The prices at Grove are usually lower than my grocery store anyway, and as a VIP I get free shipping, free gifts, price matching, and lots of sales. 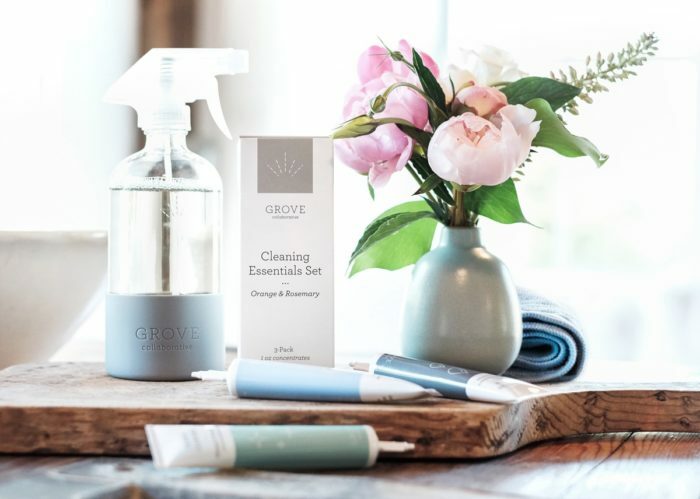 Grove hand-selects the best eco-friendly products and delivers them (carbon offset) right to my doorstep, on my schedule. I get helpful reminders when it’s time to reorder, so that’s one less thing I have to think about. And they don’t just have cleaning products either — they also have a huge selection of skincare products, health care items, and pet products! If you want to give Grove a try, check out this fun offer. Right now, when you place your first order of $20, you’ll receive a free Mrs. Meyer’s trio + caddy + walnut scrubber sponges to help you kickstart your freshly updated cleaning routine. Sign up for Grove Collaborative here. You will receive a Mrs. Meyer’s trio (hand soap, dish soap, all-purpose spray) + caddy + walnut scrubber sponges for FREE when you sign up! That’s it! Click Finish & Pay to place your order. Bonus tip: If you spend $39, you’ll get a beautiful stoneware tray for free! It’s perfect for corralling dish soap and a sponge to keep your countertops tidy. I love the tidy look it gives my sink space. Already a Grove customer? Get a free set of Grove walnut scrubber sponges with your next order! The clock is ticking down to Christmas, and you may be thinking about last-minute gift ideas or stocking stuffers to round out your holiday gifts. It’s also cold outside, which means we’re all ready to hunker down at home for a cozy winter. To me, that sounds like we should work on our hygge just a bit. Hygge (pronounced hue-ga) is the Danish concept of happy, cozy living — it’s been quite trendy for the past few years, but has endured for decades in Europe. 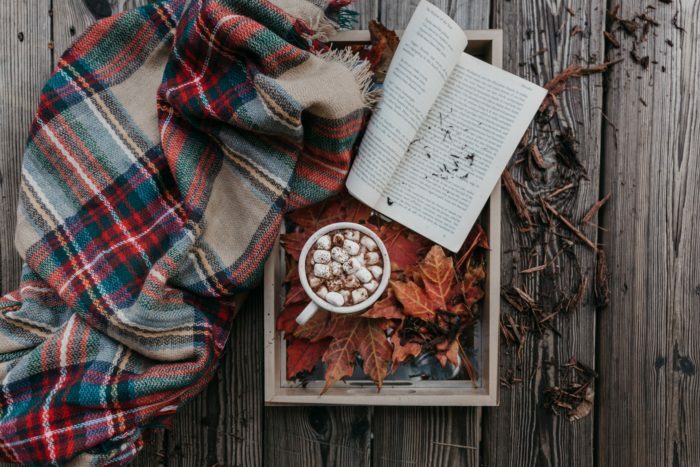 Hygge can be roughly translated as “coziness” in English but it is so much more than just that. 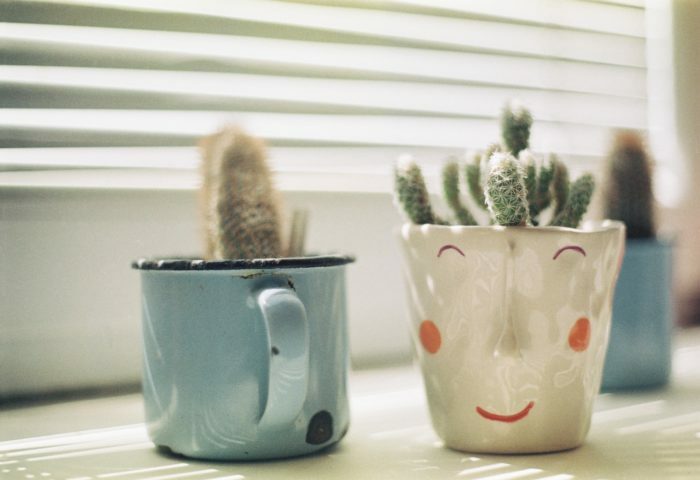 Hygge is that feeling you get when you come home and leave all the world’s craziness outside. It’s when you’re curled up with a soft blanket, completely engrossed in a good book. Hygge is when you’re surrounded by friends and family, just looking to sit back, relax, and fellowship together. Hygge is that feeling of coziness, togetherness, and peace. A home filled with hygge is wonderful all year round, but there’s something about winter, particularly Christmas, that makes it the gold standard of coziness. 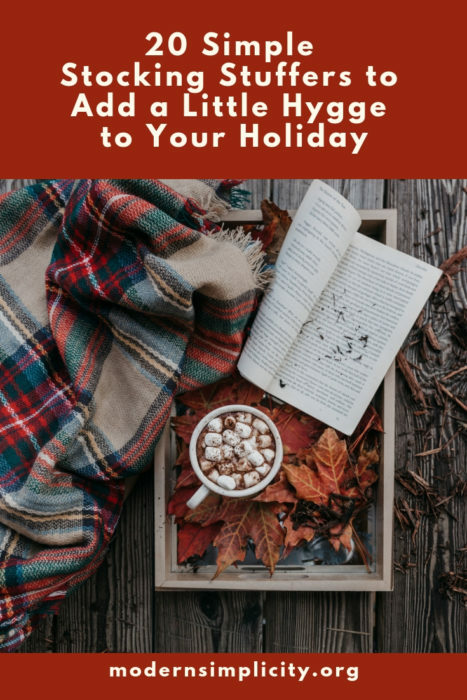 Hygge is all about appreciating the simple things in life, and there are a few easy gifts you can give loved ones to help them conjure up that coziness in their home too. Hot tea or gourmet coffee. You could even include a teapot or French press. Decadent hot cocoa mixes, maybe with a pack of marshmallows. A fantastic mug for drinking that tea, coffee, and cocoa. A coffee mug cozy to keep your drink warm and your hands from a scalding mug. Homemade or high-quality jams and jellies. Home-baked bread to devour those jams and jellies with. Shower steamers to transform the shower into a place of relaxation and rejuvenation. Bundles of eucalyptus to hang on the shower head for an amazing aroma that lasts all winter. Delicious smelling soaps, maybe even with a fluffy washcloth. Bubble bath or bath salts for warm, relaxing baths. An amazing candle in a cozy scent. Fragrant wax melts and a warmer are wonderful too. Fairy lights to hang around the room to add a touch of magic. Pocket notebooks for jotting down ideas, dreams, and favorite quotes. A fantastic pen to make those notes a pleasure to write. A new book and pretty bookmark. A board game or card game to share with friends and family. A plush blanket to cuddle under for reading or watching movies. Fluffy socks — because it’s not cozy having cold feet! A little box of decadent chocolates — because chocolate. An adult coloring book and a set of color pencils.